Nick | Is there really a way to improve the player’s mental toughness? 07 Dec Is there really a way to improve the player’s mental toughness? It’s a very complex question and the answer cannot fit into one, three or even five sentences. There is no formula or recipe on how to become mentally strong. There are also no conclusive lines, it’s a process, a lifetime process. When people want to become physically stronger, they lift heavy weights, when they want to increase endurance, they run or cycle until they feel uncomfortable and then they keep doing it a little bit more. But somehow when it comes to mental or emotional fitness, we tend to believe that the answer is just around the corner, somewhere at the end of a session or two. Plenty of research has been done recently in the field of human performance, and the findings have unequivocally emphasised the importance of sleep. Tennis players face many challenges in terms of solving complex problems or learning new skills, almost on daily basis. For example, winning an important game in a tennis match is a serious problem-solving situation, and the amount of mental effort required to successfully do that, is enormous. 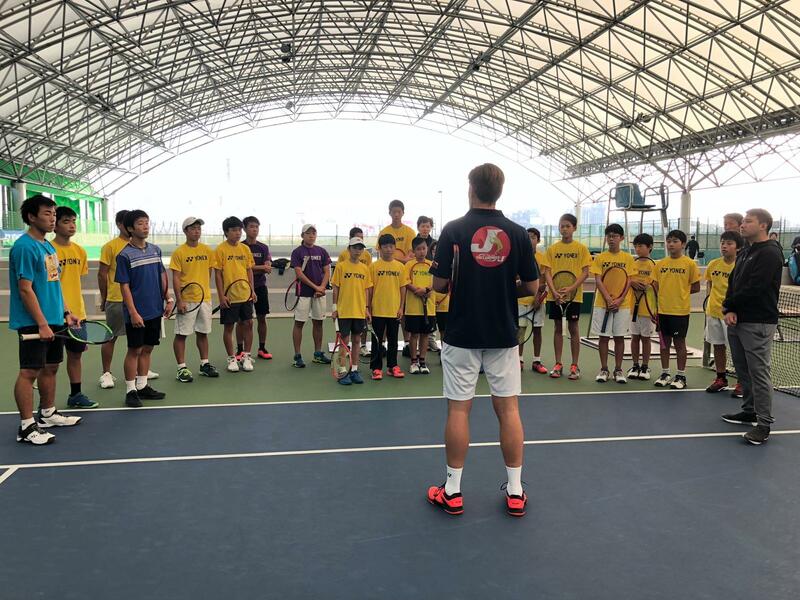 In addition, doing quality repetition on the practice court is the key for improving one`s existing skills as well as for learning the new ones, and this requires lots of attention and deep focus. It’s very important that the player consistently refills his/her mental energy tanks with the best recovery tool there is, and that is sleep. If we eat better (healthier), we have more energy. Not only in terms of quantity but in terms of quality, too. We need an adequate and constant level of energy that can help us perform at higher levels, not only physically but also mentally. It’s easy to pump yourself up with stimulants like caffeine, sugar, etc. and jump around with your eyes wide open and your focus and creative thinking everywhere and nowhere. In other words, when we are physically awake, but our mind is blurry, we are not able to do creative work and our reactions could be out of control. When we feel tired, our burnout time is much shorter. By eating the right food, we may just find the proper fuel that will help us perform on the outside, as well as on the inside for longer periods of time. Just like food, fitness influences the player`s mental performance in terms of energetic capacity. Let’s put it this way: the higher physical stress our body is exposed to, the greater the role that the fitness level plays in the quality of our mental performance. If a player gets tired in a high-pressure match situation, it’s more likely that s/he is going to fail in controlling his/her reactions and keeping a high concentration level. However, in terms of “choking”, a certain level of fatigue can sometimes be beneficial, because the player puts all his focus into his/her body and physical survival and therefore “forgets” about the mental pressure and just starts going for the shots like s/he has less to lose. But this is more of an exception than a rule and a topic for another discussion. Equally important, we can bring this down to a practice court where the volume of the player`s energetic tanks will determine the quantity and quality of work that can be done. To put it simply, the longer a player feels fresh and focussed, the more improvement can be done. The standards of mental performance in a match and on the practice court are very important, and if our body is fighting with fatigue, there is less chance of maintaining those standards on consistent basis. Breathing techniques, meditation, relaxation techniques, yoga, etc. It’s a general misconception that there are some techniques that can have a “quick-fix” effect on our mental strength. Even if some of these sometimes may seem to have that effect, they have an even quicker fade out effect, too. I personally like breathing techniques, and from my own, as well as other people`s experience, the first serious effects occur after one year of consistent everyday practice. Those techniques function on the principle of disciplining your mind and clearing your thoughts. You basically sit down and guide your brain to do what you tell it to do. This is practically a training or a practice session just like the one we do with our physical muscles, isn`t it? When you start doing a certain technic regularly, it feels like you are developing strength and endurance in your head that you can then apply in your everyday life. Tennis is a sport in which the players spend thirty-five weeks per year surrounded by people from their team. There are no families, no friends, only the player and his/her team. In this amount of time, the influence that people can have on each other is enormous and therefore the selection of team members is a very important issue for the player. In science, the term that can be closely related to that is “social capital”. The concept of social capital has become popular relatively recently, but the term has been in use for almost a century. “All definitions of social capital are highly context specific, however the commonalities of most definitions are that they focus on social relations that have productive benefits.” (Claridge, T., 2004. Social Capital and Natural Resource Management). The benefits of social capital in professional tennis are a very interesting subject which deserves lots of research work as well as many pages of text. For the purpose of this article, it’s important to point out that people around the player can have a significant influence on the player`s attitude, beliefs, confidence, energy levels, happiness, etc., and therefore, they can make a huge difference in building the player’s mental muscle. Maybe the most important piece of this puzzle is setting the right standards in our working environment (read tennis court). Players face many challenges on the practice and the match court virtually on daily basis, and their response in those situations is one of the key elements in the process of building their inner strength. Behaviours that occur on the tennis court will determine the growth dynamics of the player`s mental muscle. I like to see players in emotionally challenging situations, because I know that this is their opportunity for improvement. I believe that setting some certain standards in those difficult situations can help the player get a clear picture of his/her final goal. This is, in some way, the moment of enlightenment for the player, because at that particular moment s/he realises what to focus on in order to achieve this goal. Working on all of these components consistently will lead to sustainable results. If one component breaks down, the wheel stops spinning, but when all parts are in place and in balance, we will see a considerable difference in our mental capacity. By fully understanding the process and the need for consistent work on all these crucial improvement points, we can make a significant progress towards building mentally stronger individuals. Finally, do you know why mental toughness is so crucial? Because it`s hard to beat someone who never gives up.